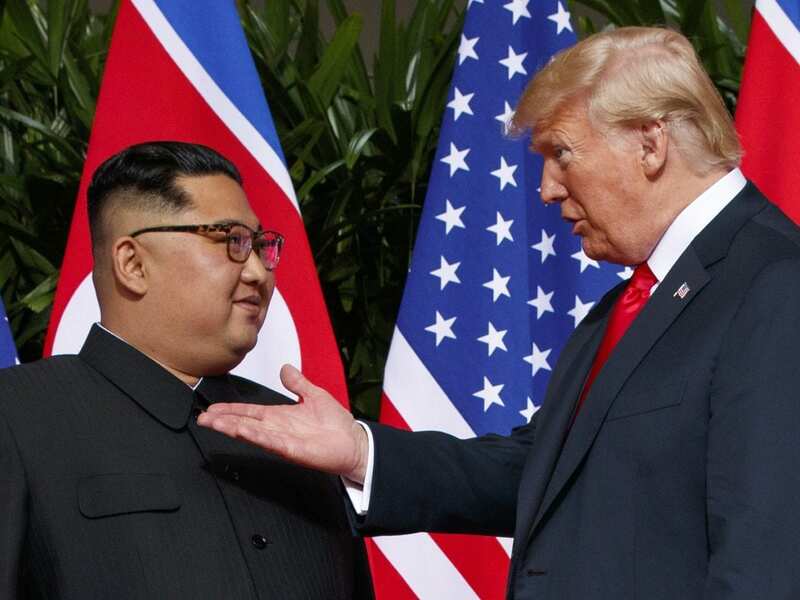 North Korean state media have reported that President Trump made a raft of concessions to Kim Jong Un that were not stated in the two countries’ joint statement, following a first-ever meeting of the leaders in Singapore. The administration’s argument is that the incremental approach used by past administrations has allowed North Korea to extract rewards and incentives from the U.S., only to ultimately renege and refuse to give up its nukes. The KCNA report — which was also carried by the Rodong Sinmun, official newspaper of the ruling Workers’ Party — also claimed that the president pledged to suspend military drills with South Korea, and lift sanctions on the North. Trump’s comment on suspending joint exercises with Seoul have caught South Korea’s Defense Ministry and U.S. forces in Korea off guard. Neither the issue of military drills nor lifting sanctions was mentioned in the statement. In his media briefing in Singapore on Tuesday, Trump mentioned ending the drills, which he described — in language similar to that used by North Korea — as “provocative,” saying it would save the the U.S. money. As far back as August, then-Secretary of State Rex Tillerson made similar statements. All of the concessions KCNA claims Trump made are also things China has said publicly it wants. At a routine media briefing on Tuesday, Foreign Ministry Spokesman Geng Shuang welcomed the summit’s achievements. He also suggested that the United Nations should consider easing sanctions on Pyongyang to reward it for progress towards giving up its nuclear program. Shi predicts that such a move could face stiff domestic opposition. If U.S. troops in South Korea were to really halt military exercises, he says, it could cause allies to lose confidence in Washington and undermine the entire U.S. military presence in Asia.